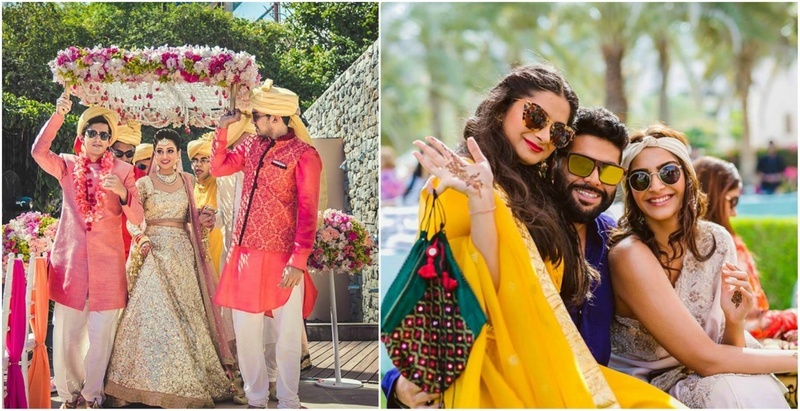 13 Brother-of-the bride duties you cannot forget to put on your to-do list! Are we right or are we right? You have witnessed all her crazy, weird and wacky mood phases and some of her best ones too! You and your sister have been inseparable since your childhood and when the time actually comes for her to get married and go to her new house, you are going to be both happy and sad at the same time. The wedding also means you have to be at her beck and call, while making sure all your guests are having a great time, all the arrangements are in place, all the parties are in place and the list just goes on and on. First things first, the wedding will be an emotional and a stressful time for your sister from having to pick the right venue, outfit, flowers and so much more. She’ll have help for all of this of course, but she’ll need you to just be there for her at every step of the way. Regardless of the cost, availability or difficulty involved in getting it, you have got to get her the ultimate wedding gift. It’s your responsibility to check up on the venue before anyone steps foot in there and make sure all arrangements are in place. If it’s a destination wedding, you might have to go there a day or two before too! You have to make sure all the bridesmaids are comfortable and are having a great time at the wedding! Also, you cannot hit on any of them. No, don’t even think about it! Yes we know she’s already got one, but you should double check if the alcohol has reached the venue and will be sufficient for all the guests who will be drinking it at double their capacity. It goes without saying you will have to give the performance of your life at the sangeet, irrespective of how terrible a dancer you are. Also, you will be the go-to dance partner for anyone who’s partner backs down last minute. Yes! After making sure that the alcohol has reached the venue, you will have to make sure everyone's glass is full and if the cocktail party is as LIT as your sister planned it to be. If it isn't, then it’s about time to up your game. Make sure in midst of all the planning and taking care of your guests, you don’t forget to enjoy yourself too. After all, this is the biggest event of your year. You might have already hung out with him a lot of times or you might not know him at all, but it’s about time to have ‘the talk’. You can take him out for drinks or for coffee or whatever it is guys do on a ‘guys night out’ and slowly lay down - what will be the consequences if your sister is ever hurt. This will be hands down one of your most important duties, holding her phoolon ki chaadar and bringing your sister to the mandap. The vidaai is a very emotional moment for everyone at the wedding and that is the time to be her rock and give a shoulder to lean on. Also, see her off with a smiling face, so she can calm down, allowing her makeup to stay intact (she’s gonna thank you for this later)! With the wedding coming to end you can finally relax, knowing you have an extra room in your house to convert into your gaming or gym zone or whatever you wanna do with it! Also, we hope you’ve made a mental note of all your to-do duties because hey, your sister is going to get married just once!